Regulating the amount of oil in your kitchen may be a good idea, but skincare oils are a completely different thing. Forget about sunflower and other cheap commercial oils. 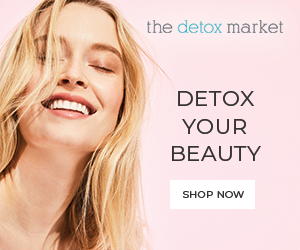 Think luxurious, nourishing, and rich natural oils that bring back the glow to your tired skin! These wonder liquids help us maintain a healthy and hydrated skin. The ancient civilizations already knew their secrets and now their fame has grown with the rise of natural remedies and healthier, greener lifestyle demands. Once used by the Mayans, Native Americans and the Egyptians, rosehip oil has amazing skin and hair benefits. 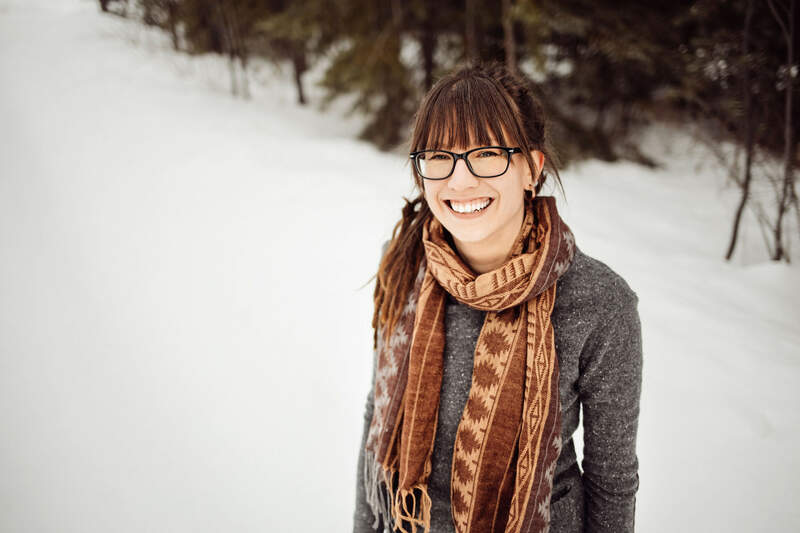 Today, as a natural moisturizer, it is a popular ingredient in the beauty industry, added to shampoos, facial creams, serums, and lotions due to its rejuvenating properties. Rich in nutrients, this amber oil is highly beneficial when it comes to various skin problems. Rosehip oil nurtures a problematic, irritated, and sensitive skin. It tones the skin, giving it a healthy and rejuvenated glow. It is also a natural remedy when it comes to acne, eczema, psoriasis, and dermatitis. If you’re looking for a natural aid in minimizing small scars and stretch marks, rosehip oil is what you need. With its anti-aging beneficial effects, it can be used instead of a nourishing facial oil. 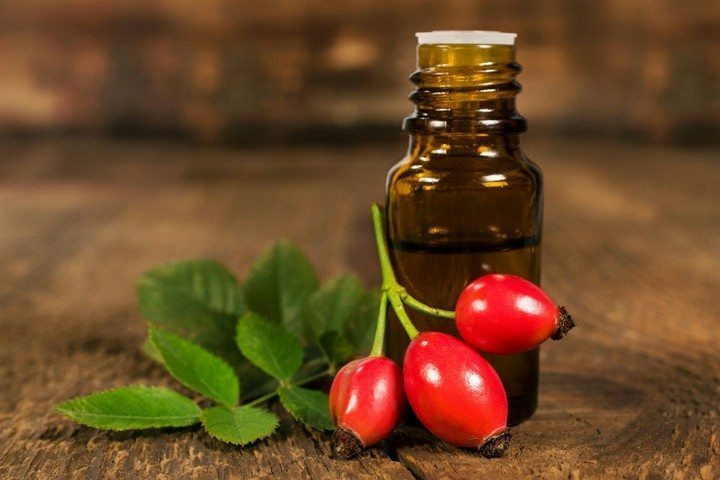 How to use rosehip oil on your skin? Apply a bit of the oil on your fingertips and massage evenly on your face and neck. You can use it in combination with other carrier oils as well. Jojoba oil, or more precisely a liquid wax, is obtained by pressing the seeds of the jojoba plant. 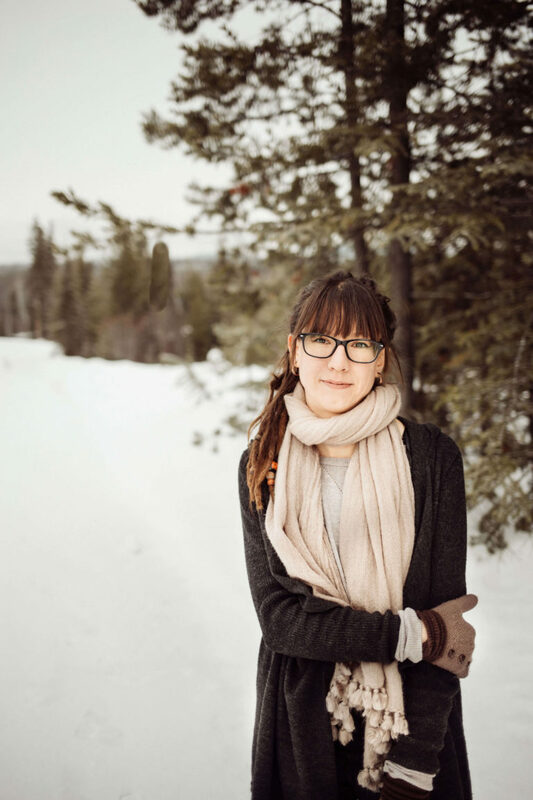 The Native Americans used jojoba oil to treat different skin conditions. A natural moisturizer and a natural remedy for the anti-aging, jojoba oil is something you should try at least once. 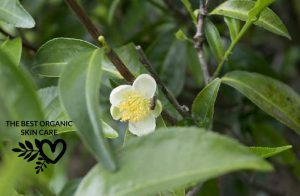 The structure of jojoba oil is very similar to that of sebum, the natural oils of our own skin, which means it can influence the oil production. Jojoba oil also boosts a natural production of collagen in the skin, which is why it’s a very popular component in anti-aging products. Due to the vitamin E, it reduces fine lines and wrinkles. It is a natural remedy for an irritated skin, which is why it is recommended to people with sensitive skin; it soothes, calms, and hydrates it at the same time. 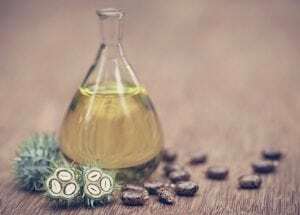 How to use jojoba oil on your skin? Massage a few drops of jojoba oil evenly on your face and neck, or add it as an ingredient to a DIY facial serum recipe. Argan oil might be considered as luxurious liquid gold used for centuries in its native Morocco. This exotic serum has begun to gain popularity worldwide due to its many beneficial effects on the skin and hair. Cold pressed fruits from the argan tree, argan oil has made it into the spotlight and stayed there and with a good reason. 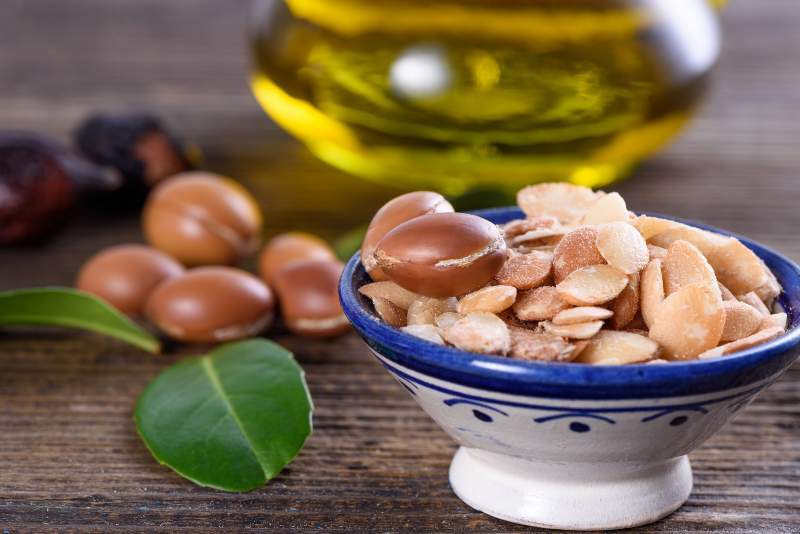 Argan oil protects the skin from the free-radical damage. If you’re looking for a natural moisturizer for dry skin, look no further. What’s more, argan oil aids in minimizing fine lines and wrinkles. It softens the skin, boosts the regeneration of its cells at the same time since it activated the oxygen in the cells. This liquid gold is a natural remedy for a dehydrated skin because it promotes the elasticity and the moisture of the skin. How to use argan oil on your skin? Mix a tablespoon of argan oil with a tablespoon of jojoba oil or rosehip oil. Apply every night to a clean, washed face. It has all been said about coconut oil before. Many of us cannot imagine living without it, eating it, adding it to our faces, bodies, lotions, moisturizers for hair or chapped lips. Coconut oil has taken the world by the storm and it doesn’t seem to let go. Coconut oil’s fame is not something you doubt, it’s something you go along with. Coconut oil has anti-inflammatory, antimicrobial, antiviral, antibacterial, and antifungal properties. Many consider coconut oil as the ultimate natural remedy. With its antioxidant properties, it protects the cells from the free-radical damage, which means less skin damage and slower anti-aging process. At the same time, coconut oil also boosts blood circulation. 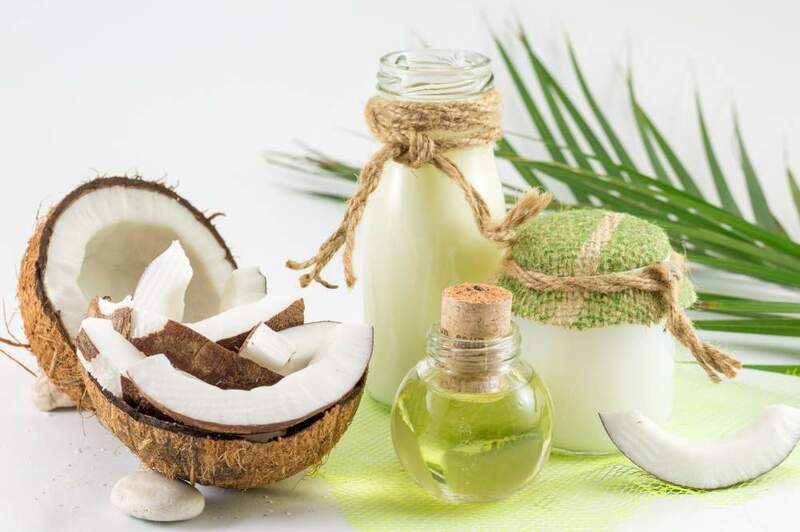 It aids with an itchy scalp and a damaged skin because it speeds up the healing process; coconut oil prevents flaking and dryness, which is fairly easy for such a rich moisturizer with tons of properties. As if that’s not enough, it might help with psoriasis, eczema, and dermatitis. 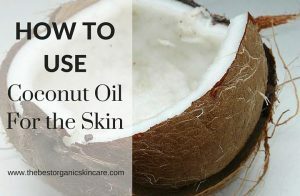 How to use coconut oil on your skin? Apply coconut oil just as it is and massage it thoroughly on your body. For an extra kick, combine it with a drop or two of an essential oil and slather it on! From the famous and popular chia seeds comes another product, just as beneficial. Chia seed oil makes the skin glow, giving you a lovely radiant look. In case you’re not the one for greasy oils, this is the one for you! This light moisturizer of a golden-yellow color comes from cold-pressed chia seeds. Due to its anti-inflammatory properties, chia seed oil is very beneficial for mature, dry, and sensitive skin, but you can use it as a massage or hair oil. Chia seed oil is a dry oil, it tones and firms the skin, which is a perfect solution to the under-eye area because you can wave those wrinkles goodbye. Moreover, chia seed oil hydrates and soothes the skin, reduces acne and redness. Apply it on your face regularly and your skin will end up looking healthy and glowing. 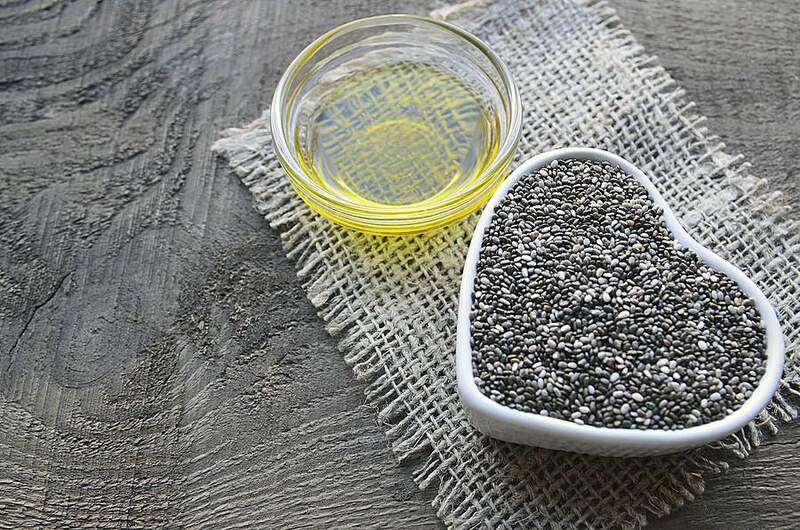 How to use chia seed oil on your skin? Massage a few drops of chia seed oil on a clean skin, best before your beauty sleep.